It’s All Greek To Me!! 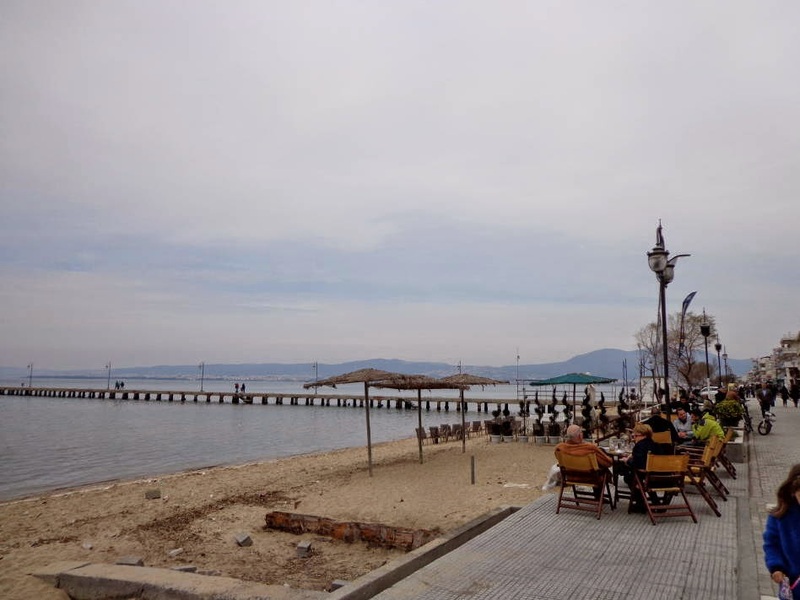 We’re in Alexandroupolis and have been just kinda hanging out here because of bad weather. We’re in a campsite that has hot showers, an open bar and hard standing so we don’t sink into the mire. 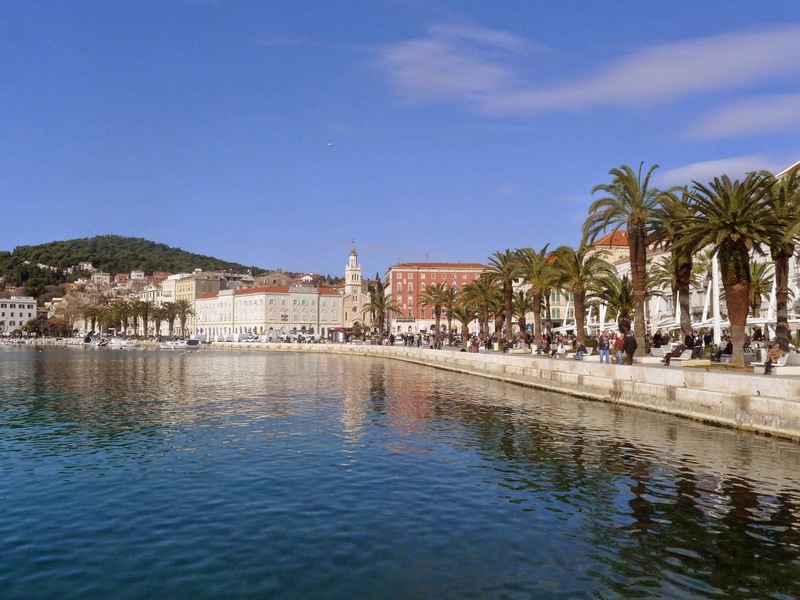 The town has the most decadent pastry and coffee shops – we need move on!! As it turned out the weather hasn’t been as bad as forecast, but we’ve had a cracker of a thunderstorm and enough rain to be a real pain. The plan was to head to the Evros Delta to go on a Pelican hunt and then into the Dadia Forest National Park to look for raptors, and we didn’t fancy that in the rain. On our way here from Kavala we stopped for lunch (by dint of taking the wrong road) in a wetland area that was full of Flamingos – thousands of them. These are such odd creatures but quite elegant in clumsy sort of way. 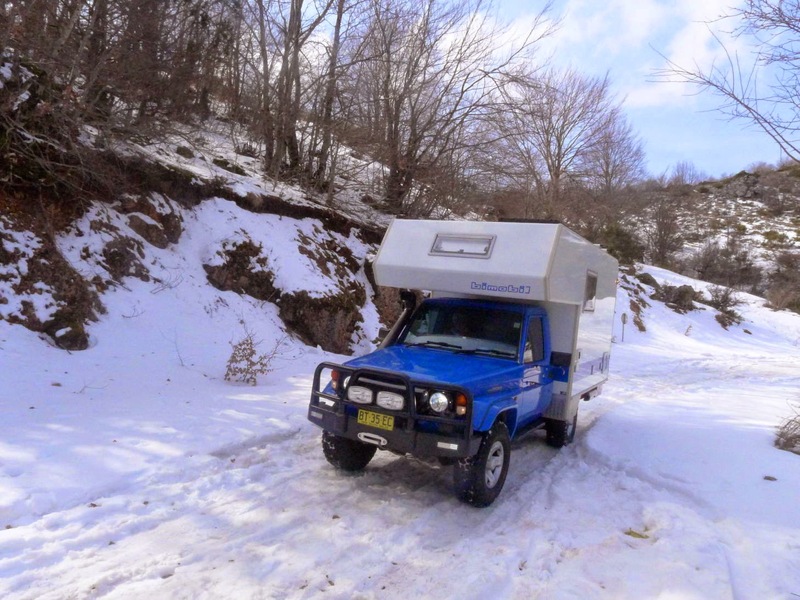 Back-tracking to Thessaloniki, we stayed in a Caravan and Camping Store carpark, that is set up for people like us. They provide power and water and are happy for you stay as long as you like. Of course we went shopping – can’t resist a camping gadget store. Plus we got them to put an extra light over kitchen work area. It’s the only place to camp in the entire area. We spent an interesting Saturday in the city, poking our noses into ancient orthodox churches and generally wandering about. 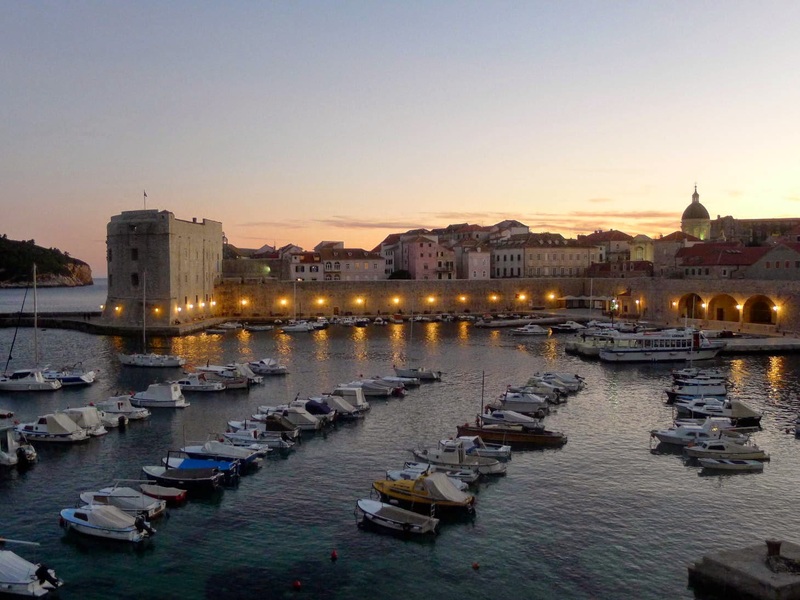 It’s not the world’s most exciting city but boasts an over-abundance of trendy bars and cafes. The population is around 363,000 and I think every last one of them was out eating and drinking that day. The bars were overflowing, maybe because the sun was shining. Sunday lunch was spent at the nearby beach – a seafood extravaganza. 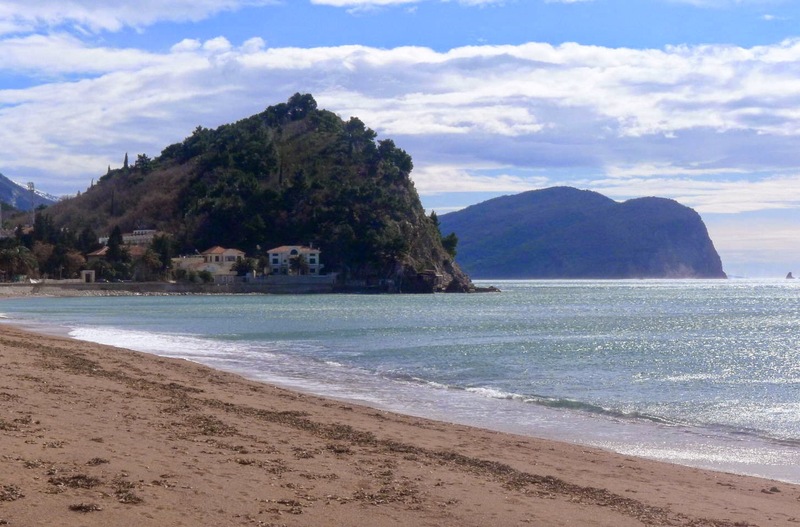 We’ve been on 4 or 5 beaches in northern Greece so far and have been deeply unimpressed by them. Brown sand with rubbish strewn about that must come in from the boats. Nobody bothers to clean it up – awful. 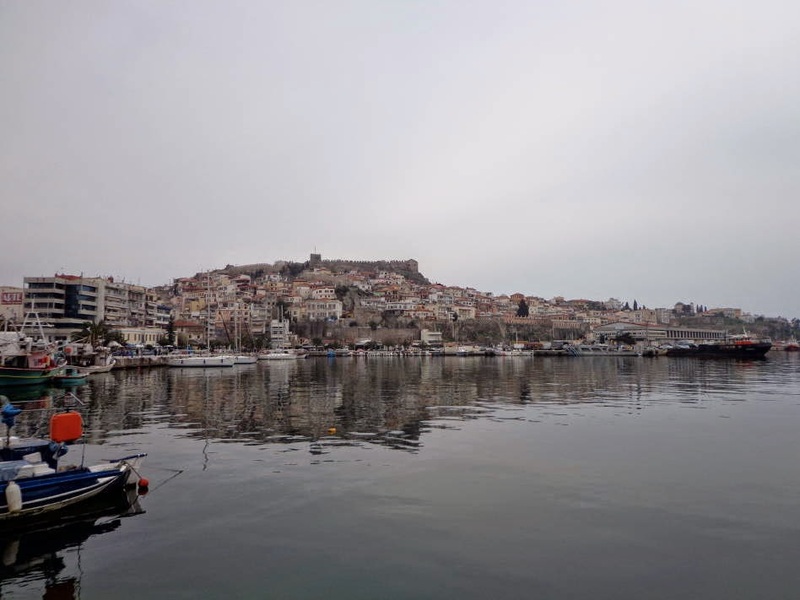 After Thessaloniki we stayed in Kavala, an underwhelming town and the campsite didn’t have hot showers- cold water only – bbrrrrr. 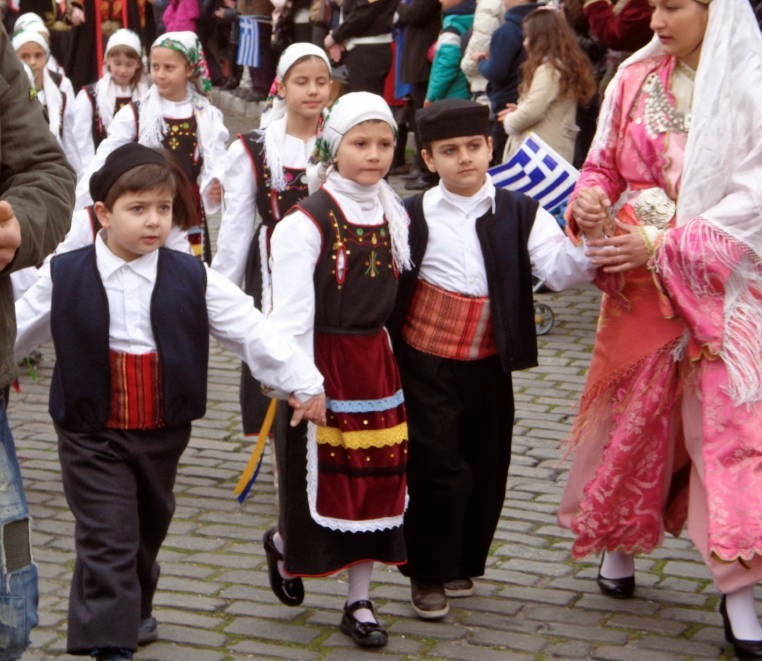 From there we stopped in Xanthi and were keen to head up towards the Bulgarian border to see ancient villages. The GPS led us on such a merry goose chase that we gave up. Squeezing Boris past Ottoman houses in narrow streets with overhanging balconies just wasn’t going to work. We just couldn’t find the main road out of town heading north. Lack of sign posting didn’t help, neither did our out-of-date map. I find the language incomprehensible and it doesn’t help that Romanisation of it produces different spelling in English and Greek. The maps and road signs and GPS cannot agree. For a linguistic peasant like me it’s a nightmare. So now it’s Sunday and we’ve just had out traditional Sunday lunch. We wandered into one those places you hope to find. A real local mecca that served freshly charcoaled grilled meat of all kinds, served on brown paper. Wine was served in a tin jug. Next you hear from me will be from Turkey, Insha’Allah. We are now in Greece but have taken quite a few long and winding roads to get here. I suggest you get a glass of something cold and tasty, (Susan - you can have G&T...) while I tell you all about it. I last left you in Albania, not a great place to be left!! Hope you survived, we did. We went in search of the spit-roast lamb by driving up the hill behind Tirane. Sounds easy – yes? Well, the GPS got us hopelessly lost in a maze of badly paved roads that turned to mud, in the suburbs. At one stage we ended up in the cemetery, which was OK as it is the cleanest, neatest place in Albania. Anyway, we got up there by our wits alone, to find the restaurant was having renovations done. We moved on and had a rabbit lunch instead. We camped the night opposite the restaurant, with views over the smog of the Capital. From there it seemed sensible (ahem) to drive over the mountains to Macedonia. 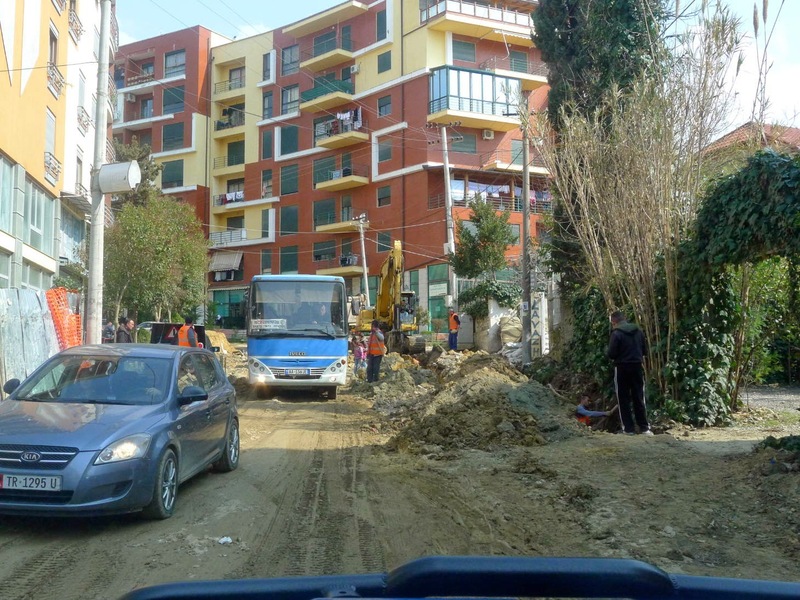 We seriously wanted avoid going back near Tirane. 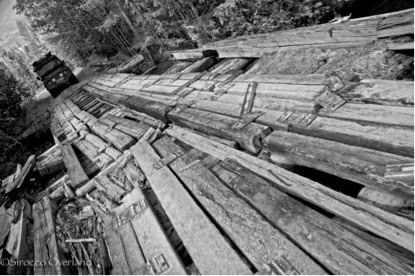 The well paved road lasted about 3kms and then things started to get interesting. The road deteriorated quickly, then more so until finally it got so bad we had to turn around. It was just too dangerous, too risky even in the go-anywhere Boris-mo-beele. Back we went, towards bloody Tirane. After a few bad mistakes, several 5 point turns, avoiding cows, mud, peasants and chickens, we found finally the southern highway heading to Macedonia, with the added bonus of a Carrefour Supermarket and Carwash – fab. 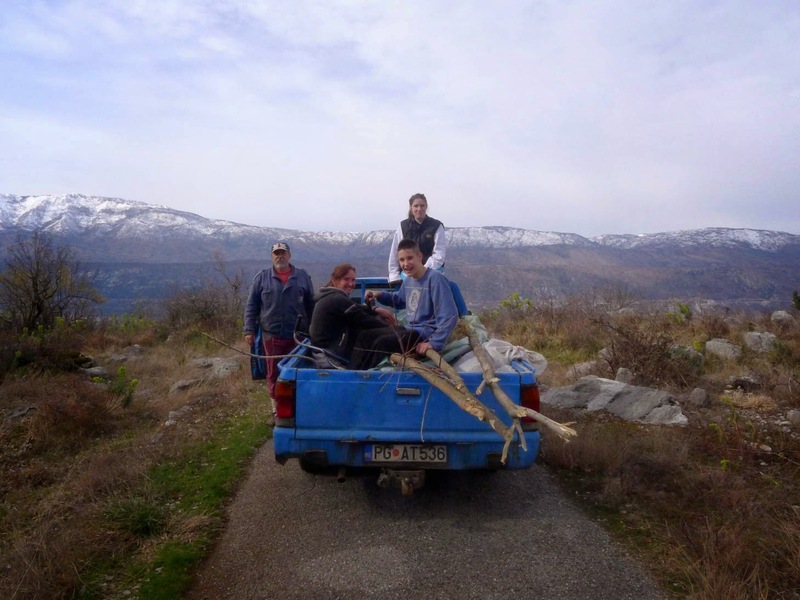 Lawrence put his foot down and we headed to Macedonia and relative sanity. The campsite we headed for was closed and had been for 10 years – apparently. By luck, kismet or commercial savvy we met a guy who owned a small campsite by Lake Ohrid and we followed him as we didn’t have much option! It was a tiny, neat campsite right by the beautiful lake with rustic but serviceable ablutions. It wasn’t officially open, but he was happy for us to stay. It was sheer bliss after the hell of Albania. Here’s some advice. 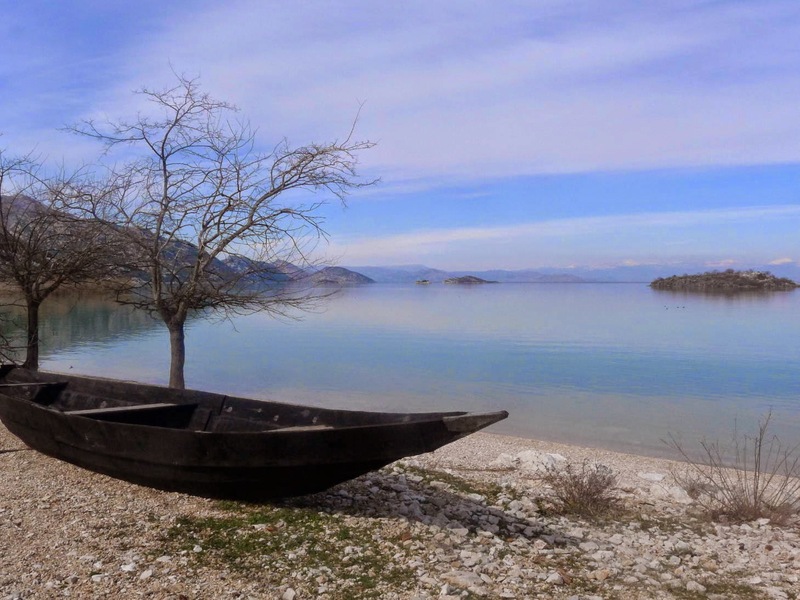 If you are thinking of visiting Albania – don’t! Even the wine was terrible. We went into the local town which was fairly dull but had an eclectic market. One woman was selling lettuce and live chickens, another stall had only socks and olive oil, but really, you could buy almost anything. Great fun. 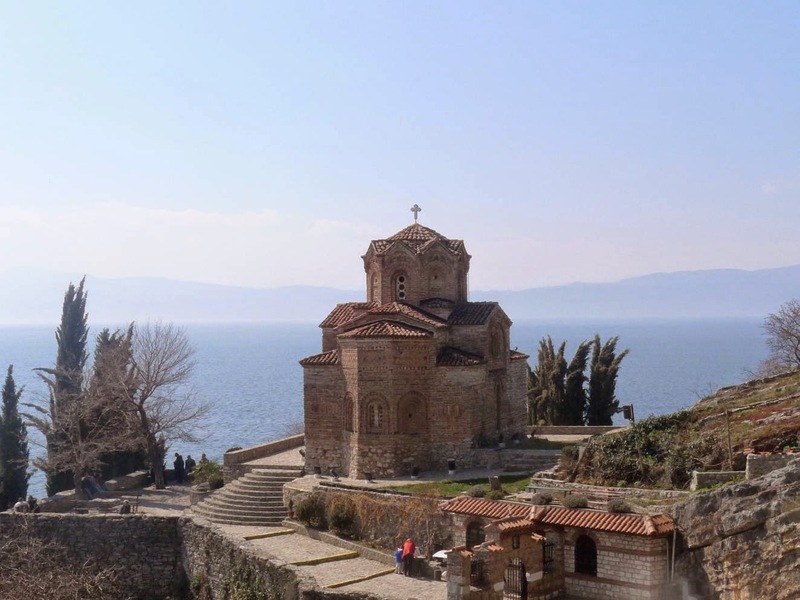 We also spent a day in Ohrid and did the obligatory ancient orthodox churches and a Macedonian lunch, before moving toward Bitola. 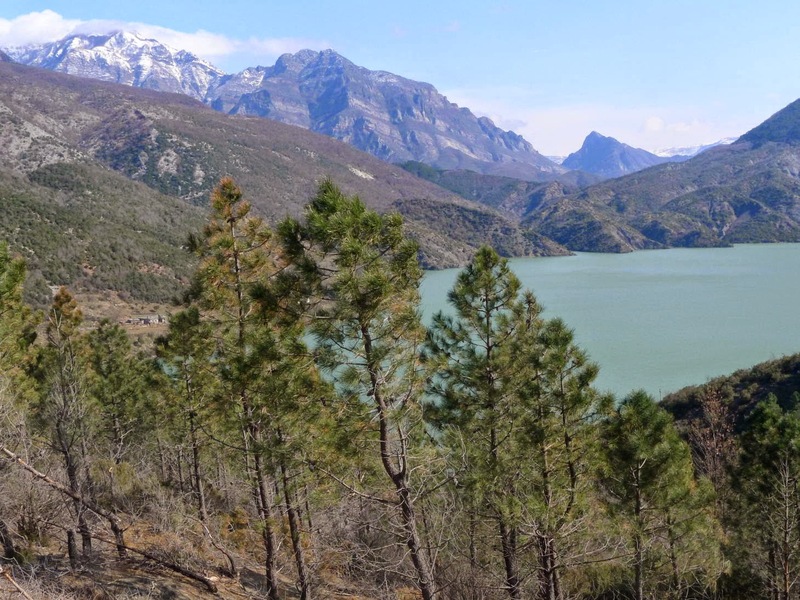 We decided again to take the long way – another long and winding road over the mountain pass between the 2 lakes. Once again we were forced to turn around – this time because of snow. We couldn’t be arsed putting the snow-chains on and chugging slowly through it for 20 or more kms. So we had to go the boring way. 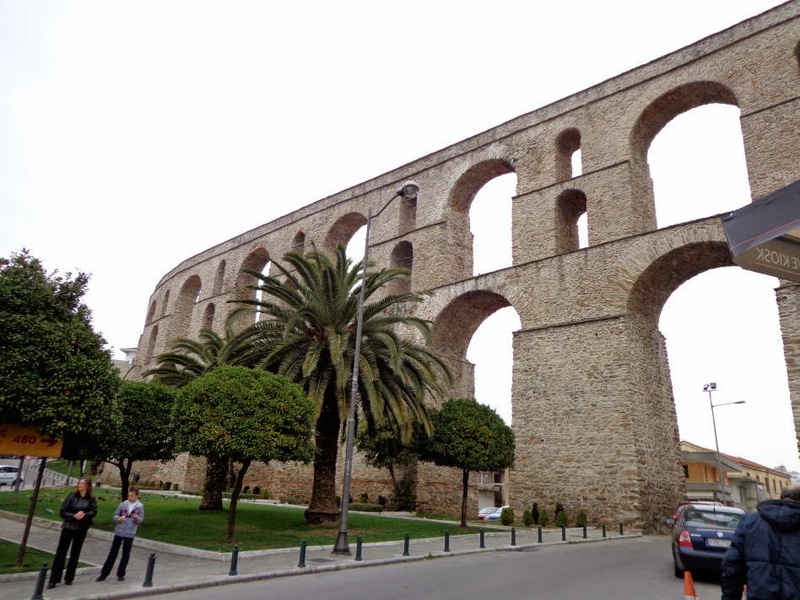 We were not inspired by Bitola so just headed for the Greek border looking for somewhere to stay. This is where it got a little bit interesting. 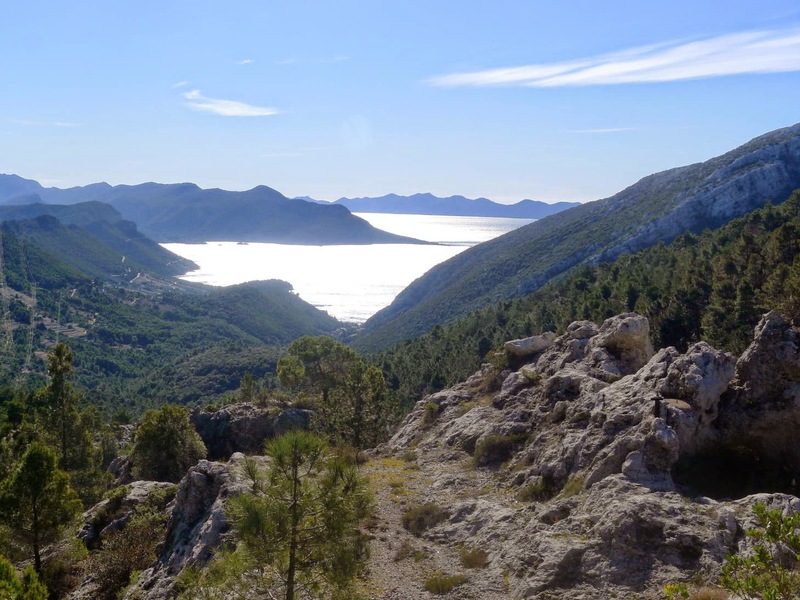 As we approached the Greek border, we saw a side road that we thought might be good for an overnight camping spot. But the road was terrible and there was no likely spots so we turned around only to be confronted by the border guards. They had seen us turn off and obviously thought we were up to no good. After lots of explanation and serious grovelling they let us move on but of course we were stopped at the border proper, more explanation and forelock tugging required. And that leads us to Greece. 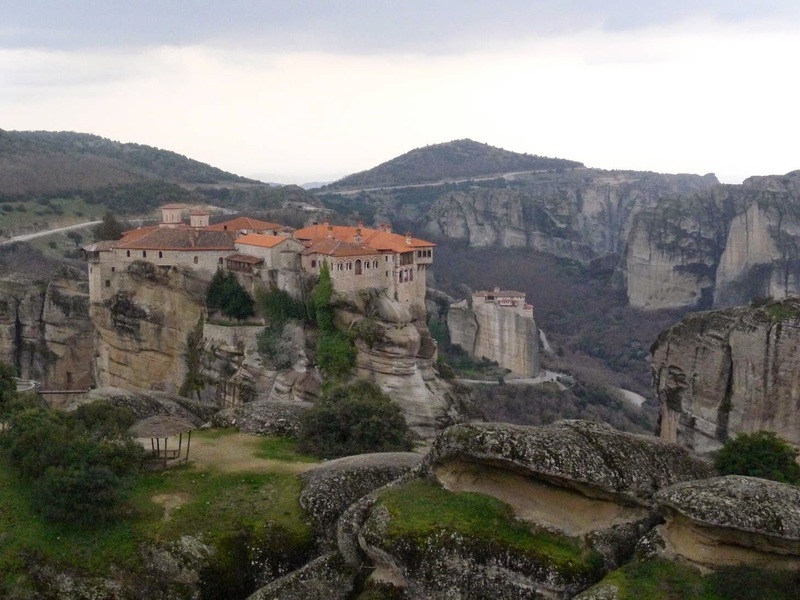 As we were ahead of schedule – yes, we do have one – we took the advice of our chums Darren and Clare and headed to Meteora. What an extraordinary place this is. Even without the monasteries it is a sight to behold. 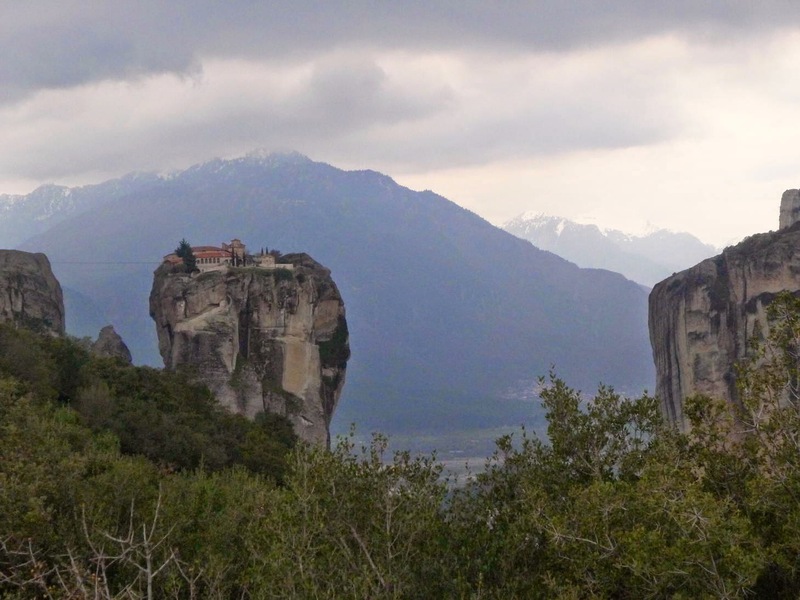 Great pinnacles of rock stretching sky-high, some with wonderful 15th century monasteries perched precariously on top. 6 of them still operate and you can visit them easily (even if you have to put on a bad taste skirt over your jeans – women only). I’ll let the photos tell you more. Sadly the weather was cold and grey. So now we are parked by the sea on our way to Thessaloniki. Today we did another long and very winding road past Mount Olympus. I do wish that the Weather Gods and weatherunderground.com would consult with each other a little more and come up with the often promised sunshine for us. Mt Olympus was shrouded in cloud and mist, so we didn’t see much. The road however was fab and coming down the other side was exciting. 19 hairpin bends in 7 kms with a drop of 500 metres!!! 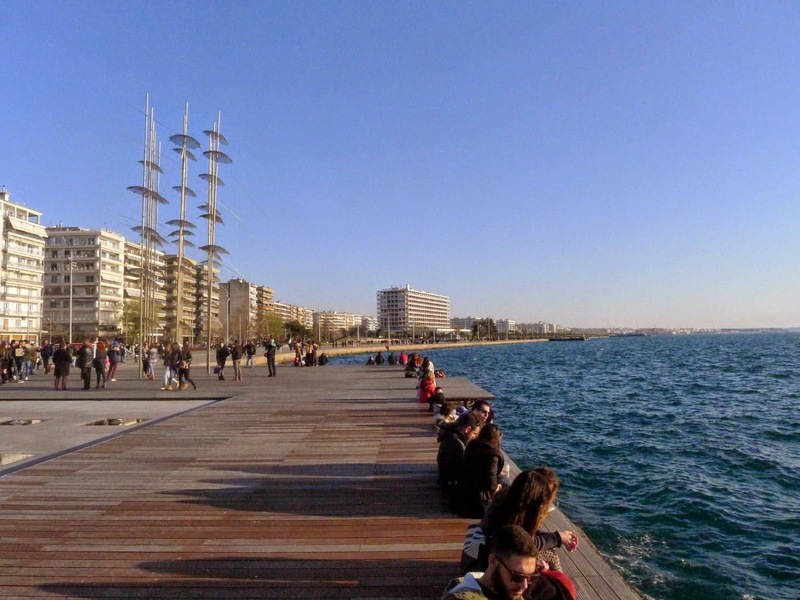 Next stop Thessaloniki, slated as Greece’s coolest city, so we should fit right in. I just hope they are not talking about the weather. I’ve had enough winter, seriously, enough. It is now bloody raining, again. So we are sitting here drinking a fabulous Macedonian Rosé, made from Vranec and Merlot. We were so impressed with Macedonian wine – a wonderful mix of strange indigenous varieties and some internationals (which they have been growing for many years). Wonderful! We now have the GPS Tracking device working. We started it in Split, but didn't quite get it right. However, it's now in full stalking mode, so you can see exactly where we are. Can you let us know??? 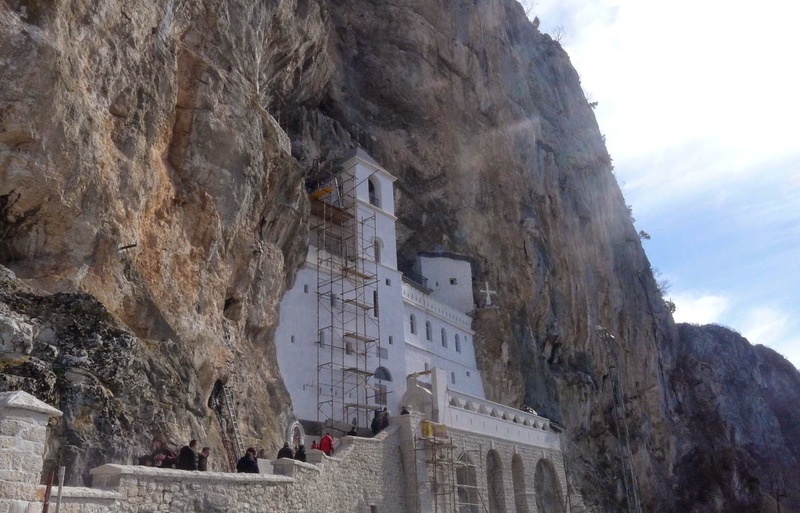 After leaving the Montenegrin coast, with improved weather we headed for the hills to check out Ostrog Monastery. 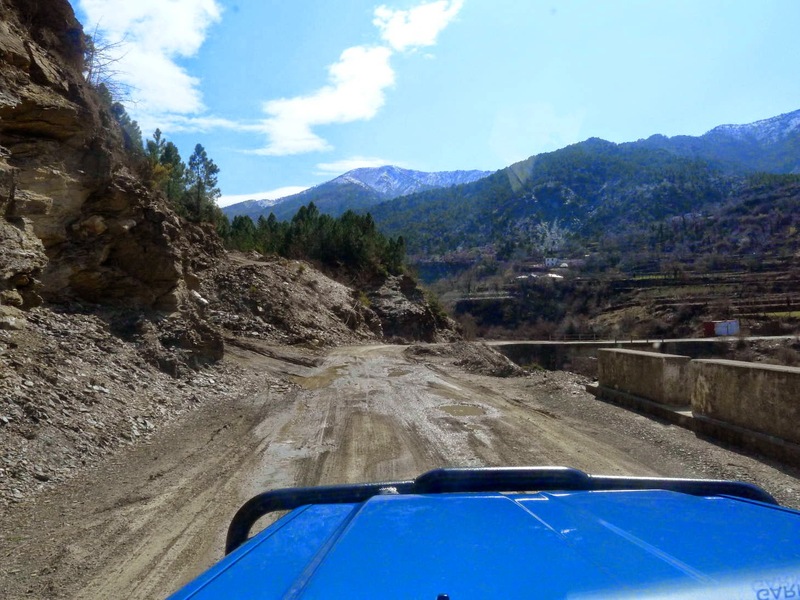 Our planned route was blocked to due to landslips, but as it turned out, we did a brilliant road instead - kismet! On the way we camped in the mountains with views forever. Next morning a family of Serbians drove by and were asking us about Boris etc. The father wanted to start a drinking session with his home-made plum brandy. Even we thought 9.30am was a tad early. 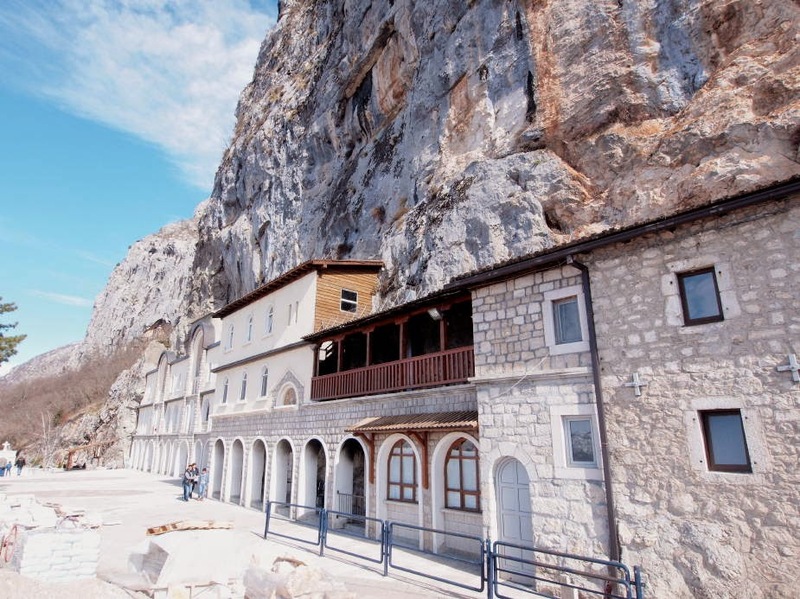 The Monastery itself is quite extraordinary, being built into a cliff. Apparently it was built by a miracle, which simply means no-one has any clue how it was constructed! Unfortunately scaffolding man was also there, doing some much needed shoring up and renovation. 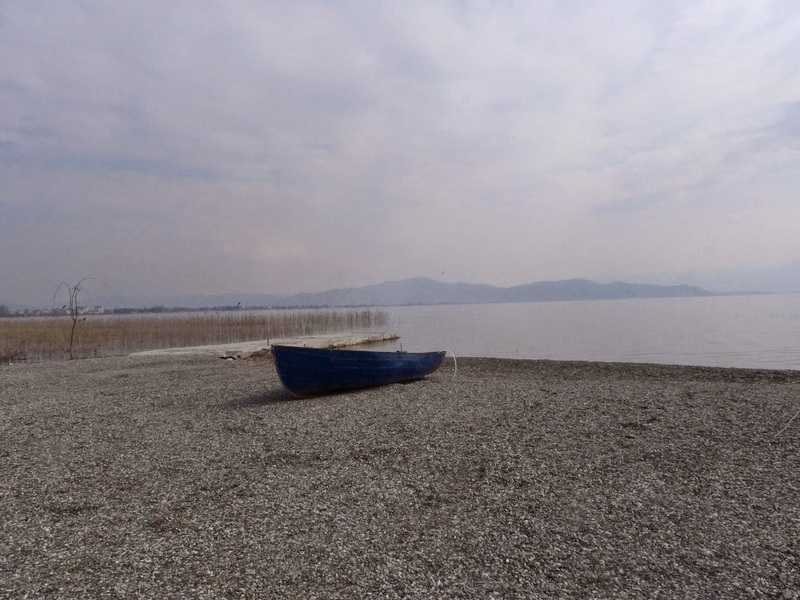 Next stop was the beautiful and vast Lake Skadar. We camped high above the lake in a tiny spot and enjoyed the ever changing colours of the lake. Of course some passers-by stopped. Montenegrins are incredibly interested in Boris, with waves, horn toots and thumbs-up being very common. This was a bit different. First thing we heard was “It’s a bloody Aussie” – in a strong local accent. 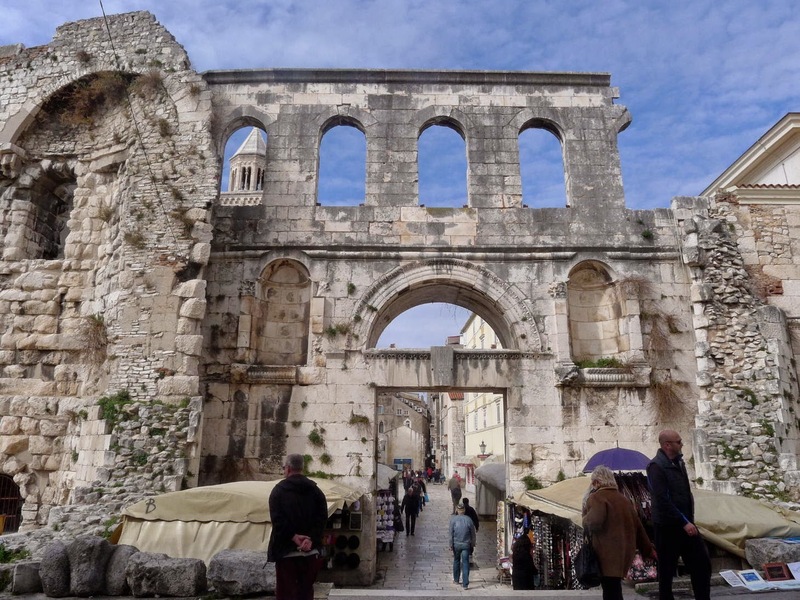 Turns out this couple had lived in Melbourne for 20 odd years and had returned to live in the capital, Podgorica (Lord knows why – it’s not exactly cosmopolitan). We spent 2 days driving around this amazing lake, taking photos, looking at birds, and camping in extraordinary spots. For our Sunday lunch we had delicious fresh brown trout, straight from the lake – simply grilled and accompanied by a curious local wine. From the nose I wasn’t sure if I should drink it or put it on the salad. Bouquet of vinaigrette is not that appealing, but tasted OK. In short, Montenegro is absolutely stunning!! 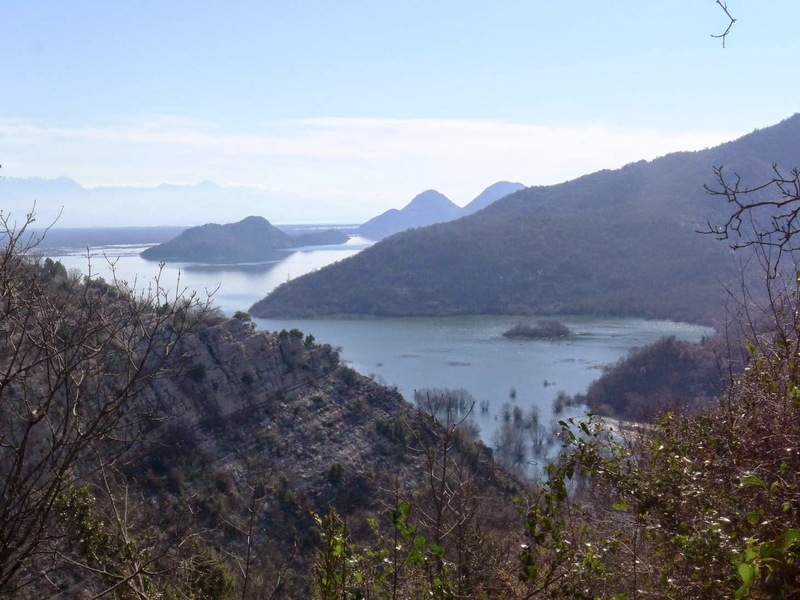 Across Lake Skadar is a constant and dramatic background of the snowy mountain peaks of Albania. As it turns out – some things look better from a distance. We are now in Albania and are not exactly enchanted. It’s a bit of a culture shock, having a very ‘third world’ feel to it. Bad roads, lawless driving, scrawny dogs, bony-arse cows and rubbish everywhere. It’s the rubbish I find most distressing, worse than Sicily. First night was spent in a campsite that was closed to due a death in the family, but they cleaned a room in the hostel for us so we could have shower and hair wash and Wifi. We spent today driving to Lake Koman. Disappointingly the ferry is not running as this is meant to be the highlight of a visit to Albania. However, the road out there was certainly ‘interesting’. Technically it was a paved road but in such a bad state of repair we felt we were ‘off roading’. The town of Koman itself was screamingly dull, so we turned around and drove the one and a half hours back. 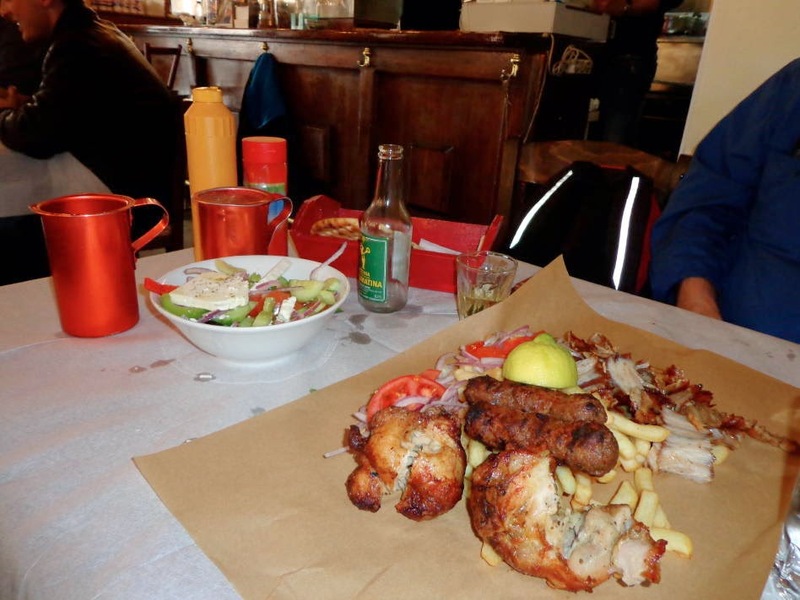 We stopped for a quick lunch on the way - 2 plates of pork, some fried potatoes, pickled tomatoes (yuk), loaf of bread, 2 beers, 2 coffees – 9 euros! Tonight we are camped at the back of a hotel. It’s a sort of campsite but rather exxy for what is basically a carpark with electricity. However they are doing the washing for us, God know what it will cost. There is also a sweet little dog for me to make a fuss of. Tomorrow we go in search of the famed spit roast lamb. Well we finally left Spain and spent 2 nights in beautiful Assisi before landing on Pam and Mike’s doorstep in Le Marche. As usual they showed us wonderful warm hospitality and fed us very well. On our last night we went to a tiny local restaurant and had one of the best meals of our trip. A five course extravaganza, 2 of which involved truffles. The flavours were divine and I felt that we really got to understand why truffles are so revered. We boarded the ferry for Split in Ancona. A word of warning for anyone contemplating this: Don’t arrive early! You’ll be squeezed into a dodgy spot at the back. We argued about our position but were forced to concede and ended up sustaining some damage to Boris. We didn’t notice it until too late. Anyway, Split was wonderful. 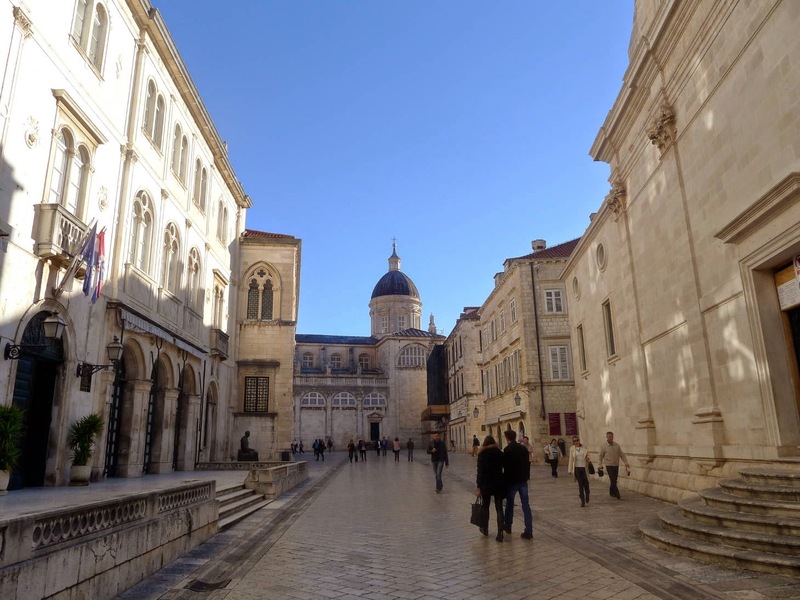 The old town is a riot of narrow alleyways, arches, tunnels, churches and sunny squares, all squeezed into the original walls of Diocletian’s Palace. It’s tiny and fascinating. 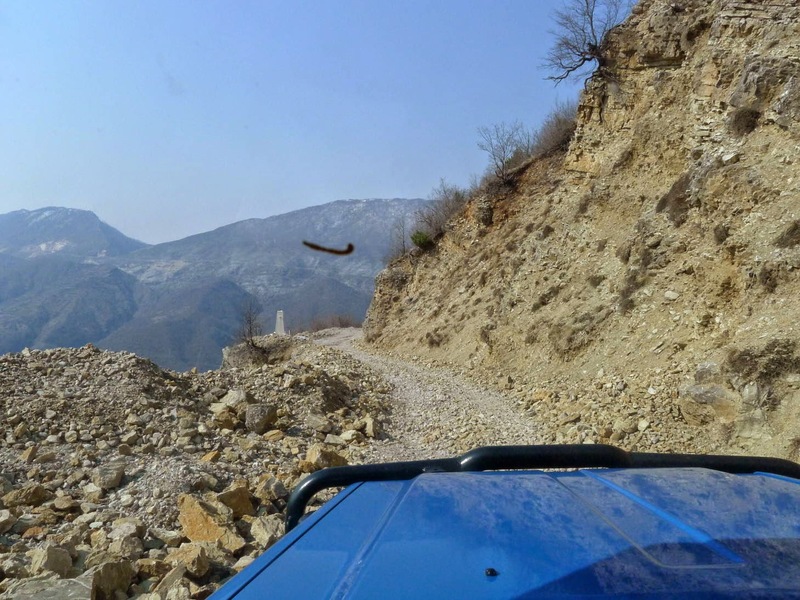 We met Jimmy in the campsite who gave us some wonderful advice re avoiding Bosnia (and the brutish border guards) and seeing some spectacular scenery – thanks Jimmy. 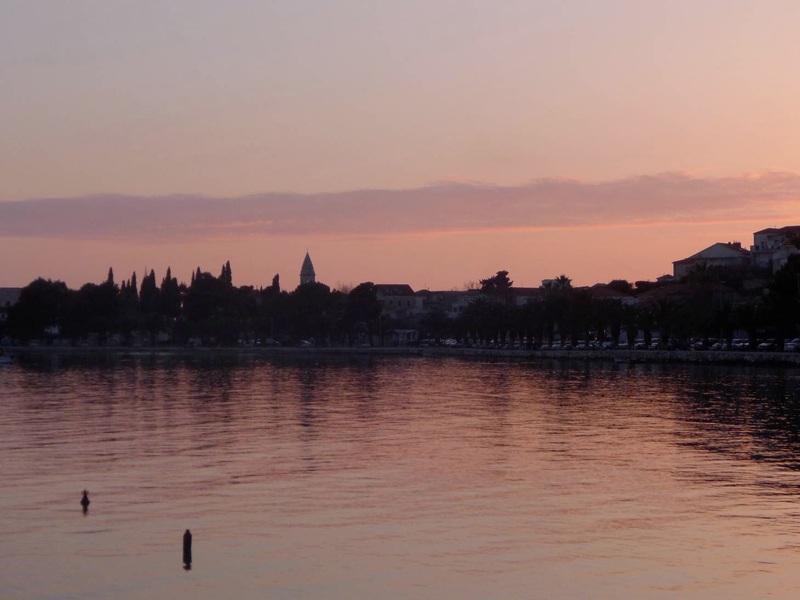 This led us to Pleljesac – which on first glance looks like an island but is actually a peninsular. It’s a really good way to avoid the bit of coast that belongs to Bosnia. It also has the added bonus of being the wine growing area – and it’s incredibly beautiful. 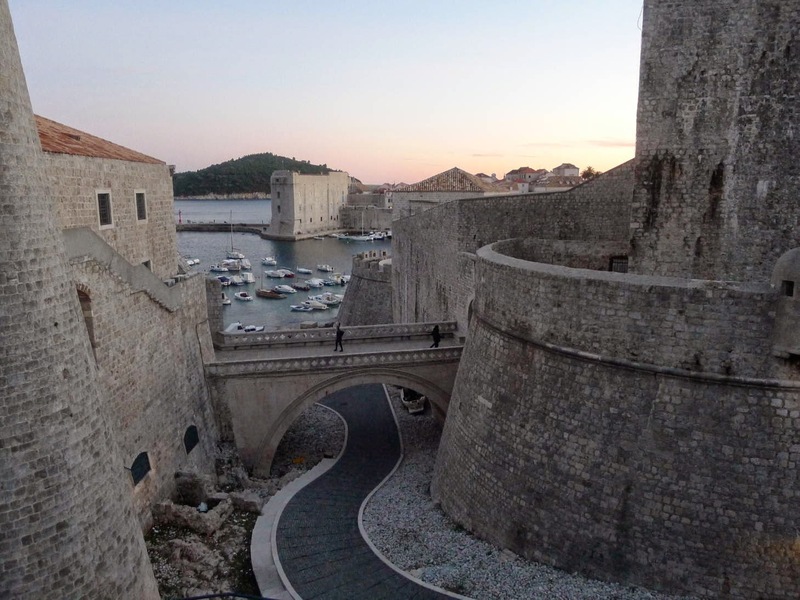 From there we drove to Dubrovnik and as expected the coastal scenery was breath-taking. Pick any superlative you like – you’ll be right! 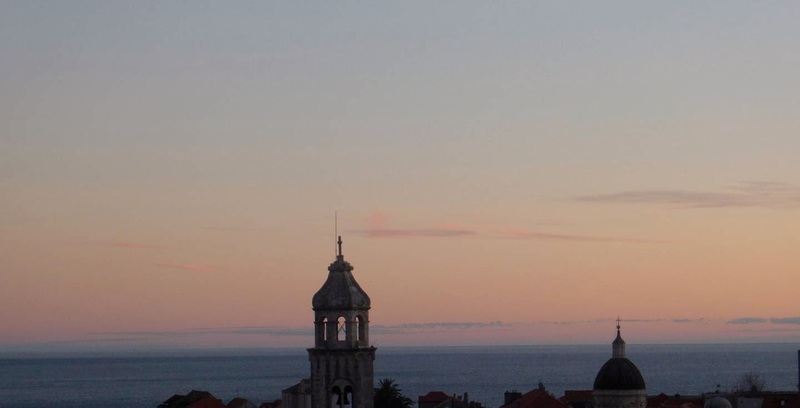 We loved Dubrovnik, with its spectacular setting. The main street is wide and beautifully proportioned, in contrast to the side streets which are very steep and narrow. The forecast however, was poor so we headed south into Montenegro to find somewhere to hunker down. 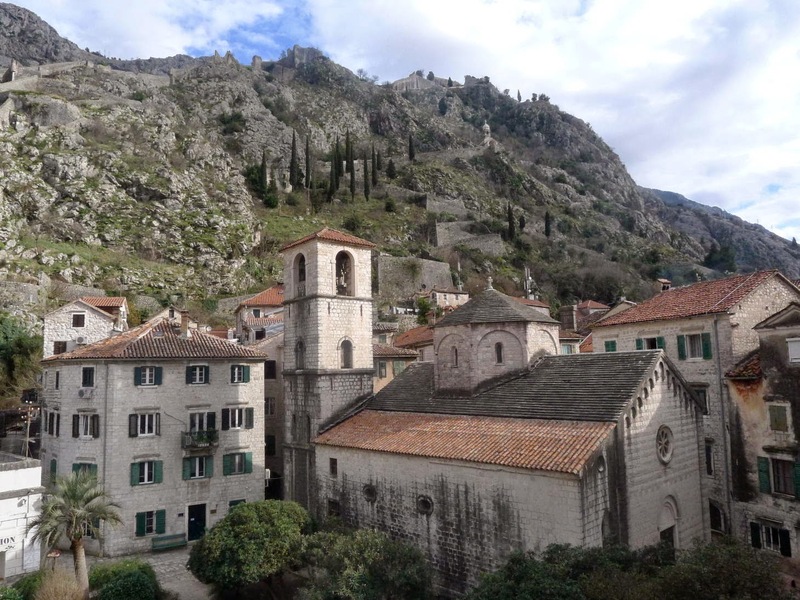 We drove around the stunning Bay of Kotor to the pretty walled town of Kotor, with its spectacular backdrop of mountains and fortifications. We booked into a quaint hotel for a much needed shower and hair wash. We hadn’t had a bathroom since Split (long story). Next morning the predicted rain came down by the bucketful. We drove through driving rain and howling winds. Cliffs became waterfalls, roads turned in rivers, the sea to mud. Anyway we found a funny little campsite to sit it out, with the wind howling like mad and Boris rocking like a bucking bronco. The gin bottle came out early yesterday. 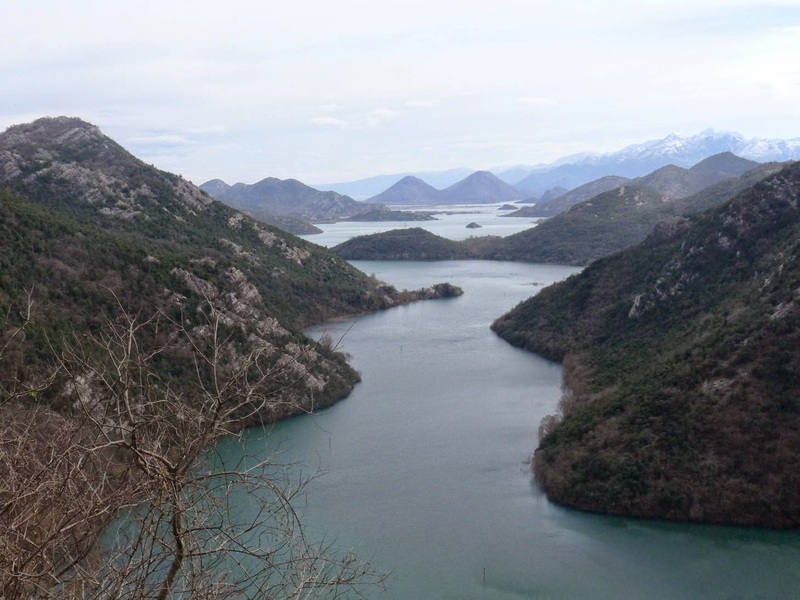 So now we are waiting for the wind to die down (at least the rain has stopped) and tomorrow we’ll head for the hills and check out some of the famous Montenegro monasteries.